Beyond Fab! Stunning, simply cannot praise it highly enough! Stunning villa. Everything you could need and within walking distance to the small town. Very Cypriot - lovey. You need a car but Sundance can sort that for you and there are local accessible wineries near by that offer amazing things - ask Irene! Loved our stay here, the BBQ is beyond fab and the whole place is just so relaxing. Excellent for wheelchair users, although the drive/pathway from the house to the road is very steep (the "only" bit that might be an issue). Fruit and veg in abundance (cherries; mmmmm) and plenty of space if there are more than one couple/family. Cannot praise it highly enough! The pictures and videos don't do justice to this wonderful villa. Set high up into the Troodos hills the views and peace are amazing. Grand design and excellent 5* facilities means we will be looking to return in the near future for sure. What an amazing find for us in Cyprus after previous booking disappointment with other companies. Thank you Sundance Villas!!! 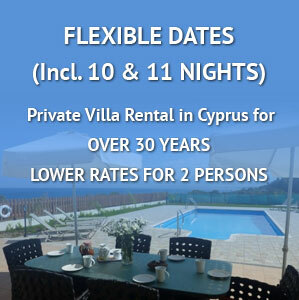 #1 in Cyprus for the really 'best' villas. A reallly disabled friendly villa..! First villa holiday - won't be the last!! Ampelitis = Perfection. 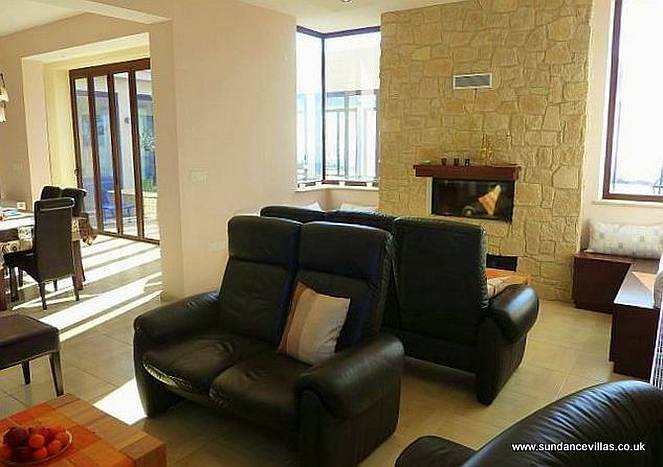 The best villa: well equipped, comfy and very well cared for! Thank you Nikos and Nicole. We've had a superb time in your lovely home and would love to come here again. Tips: village taverna: very good and very welcoming. Good value. Periklis-excellent food-well worth a visit. Kalamos winery: excellent wine tasting experience, good wines and prices. Local butcher has superb quality meat, speaks no English. For an excellent take away, Acropolis in Geroskipou, Afelia to die for. Varma and Shirley. Ampelitis Inn was by far the best villa I have ever stayed in, it was stunning! Fantastic week in a wonderful property and were really "living" here - the children mainly in the pool!